In February, the EPA hosted a stakeholder meeting to discuss a proposal for HFC refrigerants in the Montreal Protocol. The United States, along with our neighbors to the north and south, will likely propose an amendment to add HFCs to the Montreal Protocol. The goal is to carefully and slowly phase down HFC production, but not a complete phase out. The phase-down schedules are still being discussed, as is the issue of what to do with HFO refrigerants. Large developing countries such as India, China and Brazil may oppose universal HFC phase-downs. Most of what our industry does with refrigerants today stems from the Montreal Protocol. The air conditioning and refrigeration industry has supported global efforts to protect the environment by introducing non-chlorine-containing refrigerants. The Montreal Protocol, established in 1987 and later revised, provides guidelines for individual country legislation, setting timetables for the phase-out of chlorine containing refrigerants. But today there is more attention on climate change and reducing greenhouse gases. Carbon dioxide is by far the most significant greenhouse gas, produced mainly by burning fossil fuels for electrical generation and transportation. Since refrigeration equipment consumes energy, energy-efficient designs are important to reducing carbon dioxide production. The effort started with an emphasis on cutting chlorofluorocarbon (CFC) refrigerants. Work in the late 1980s and early 1990s centered on eliminating CFCs which were used in foam blowing, cleaning and refrigeration applications and centrifugal chillers for air conditioning. By the end of 1995, developed countries stopped producing CFCs, and they are no longer used in new equipment today. 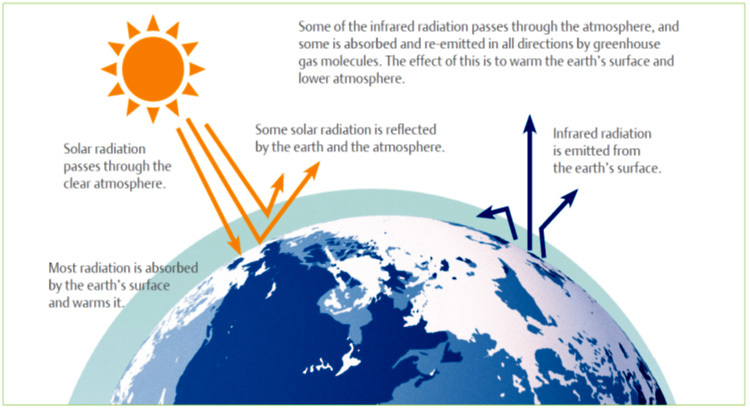 These actions have significantly reduced atmospheric chlorine and are starting to repair the ozone layer. However this plays out in 2013, we’ll be watching international, federal, and state regulations on greenhouse gases and working within in the industry to make smart decisions for today and the future. Usually anything promoted as a quick fix tends to lead to a long term problem. We think that’s the case with the so called “drop in” R-22 replacement refrigerants. These “drop ins” claim to offer the same performance characteristics regardless of whatever remaining mineral oil is left in the system from the previous R-22 charge. While certain OEM applications have been approved for use with certain Copeland™ brand compressors, this is far from a ‘blanket’ approval for use in all compressors and you should proceed with caution. Copeland™ brand products are not recognized by U.L. when used with these R-22 replacement refrigerants in air conditioning applications. It is also noted that these refrigerants are immiscible with 100% mineral oil and that this can lead to insufficient oil return from the system and potentially inadequate oil level in the compressor during operation. For these reasons, Emerson will not be granting “blanket” application approval of refrigerants for use with100% mineral oil in air conditioning service applications. Emerson further recommends that refrigerant guidelines provided by the OEM should be followed in all cases. In fact, the non-authorized use of alternate refrigerants may have significant detrimental effects on the operation of the unit and may void the OEM compressor warranty. In cases when OEM guidance is not available, or an emergency retrofit is required because of critical cooling needs, Emerson recommends the use of R-407C with POE oil as the best available option when transitioning away from R-22 in service applications. This refrigerant-oil combination is fully miscible and has performance characteristics that are close to R-22. For more detailed information on this subject we encourage you to visit Emerson’s Contractor Connection™. Have you faced a similar decision? We’d love to hear how you handled it below. This blog was originally posted on Emerson Process Experts on April 17, 2013. The 92nd Annual Gas Processors Association (GPA) Convention was held last week, down the road from me in San Antonio, Texas. Two of the Emerson business platforms, Emerson Process Management and Emerson Climate Technologies were there to show ways technologies are being applied to help address the technical challenges related to the shale gas infrastructure expansion occurring in North America and other parts of the world. Here are some of the discussions that took place from the Emerson team in attendance. 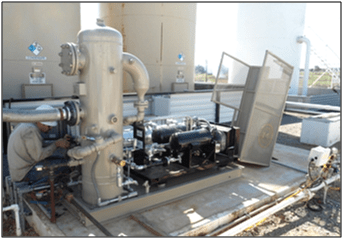 One application discussed was an integrated approach for gas plant refrigeration optimization. These refrigeration systems are critical for the liquids (Natural Gas Liquids-NGL) recovery portion of these gas-processing facilities. These heavier hydrocarbons (typically propane) are recovered using mechanical refrigeration. For this application screw compressor technology provides high-pressure handling with low bearing loads, discharge pressures above 900 PSIG and flow rates up to 4.3MMCFD. The compressor and systems are driven by motors from 200 to 2,000HP. Capacity and volume ratio can be controlled independently with volume ranging from 1.2 to 7 and capacity from 10-100%. Depending on the application, the Emerson Climate technology is combined with instrumentation and controls from Emerson Process Management, including Fisher valves and regulators, Rosemount pressure and temperature transmitters, CSI vibration sensing and online monitoring, and integration with control systems, such as the DeltaV system. The goal is to match the process conditions with the refrigeration compressor design to minimize energy costs and operate at the best efficiency levels. 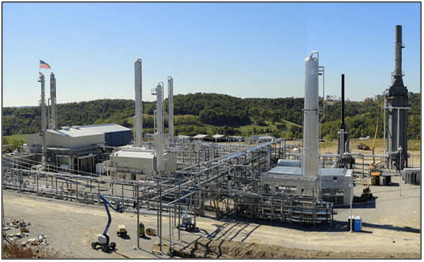 The Emerson works with gas processors to package these technologies together into integrated skids to meet the process requirements to achieve these efficiency and performance objectives. A second application that was discussed was tank vapor recovery. Scroll compressors are well suited for this application, since they are rated for hazardous area and have no shaft seals, valves, or wear parts. They can be used in pipeline gas applications up to 400MCFD at discharge pressures of 325PSIG, with a compression ratio up to 13 from suction to discharge. They can also be operated with variable speed motor control to adjust to changing compression requirements. The vapor recovery system skid can include remote terminal unit (RTU) controllers and HMIs, Rosemount pressure, temperature and level measurement, and Fisher level controllers, as well as Control Techniques variable speed drives, ASCO solenoid valves, and SOLA power supplies from the Emerson Industrial Automation business platform. The wealth of shale gas poses a challenge to increase the capacity to process this natural gas. Technologies and expertise to package, install, and optimize these technologies spans many of the Emerson business platforms. The age of the “smart revolution” is upon us. From mobile phones to appliances, systems and equipment, and even forklifts—the key is that they are all embedded with “smart electronics.” In fact, an IT and advisory company is predicting that wearable smart electronics will be a $10B industry by 2016. We are no stranger to these smart tools and equipment with electronics and sensors that can diagnose themselves. In our kitchen alone, there are several appliances that utilize these technologies. From the microwave to the refrigerator to the coffeemaker—we know just by the beep or the red light if they are working or not. 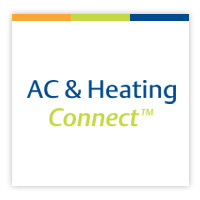 Intelligent technologies and products run the show and the HVACR industry is no exception. Products across markets and industries are becoming smarter. Smart gadgets and equipment embedded with electronics that transmit or store usage and operational data abound. With one click you can access your entire consumption history in a flash. In the HVACR industry embedded electronics, sensors and diagnostic technology have been integrated to commercial and residential furnaces that monitor their own operational performance. In commercial refrigeration, electronic supervisory controllers manage systems to optimize performance while preserving food quality. Now, as technology and diagnostic capabilities evolve, electronics are being introduced in air conditioning and refrigeration systems. This electronic and diagnostic technology is being integrated into the heart of these systems—the compressor. The last few years have seen an increase in the technology available that enabled us to manage and analyze usage and operational data to make smarter electronics that can improve performance, increase reliability, and cut cost. All of these address customer pain points such as: high maintenance cost, system downtimes and service call backs. The eBook “Understanding Compressor Electronics” takes an in-depth look at the dynamics of compressor electronicsand how this technology is helping enhance system performance and reliability. The eBook series, with four chapters, provides a general overview on electronics in the HVACR industry, explains why compressor electronics are needed, covers how they work, and discusses the key benefits they deliver. The eBook is designed to help educate contractors and end-users on the value of compressor electronics and its impact on their business. It is important that HVACR contractors and professionals understand how compressor electronics work and how they can be employed to provide better system performance, increased profitability and more satisfied customers. With the 2013 Technology in Action Conference a few days away, anticipation is building toward our three-day commercial refrigeration event. Among the interactive panel discussions and breakout sessions, the new format will provide ample opportunities for attendees to interact with industry experts while discussing the industry’s most pressing topics. It’s an event that promises to be unlike our previous conferences, and we’re confident those in attendance will leave more informed and better prepared for the future. The keynote address will be delivered by Jack Uldrich, renowned global futurist and sought-after business speaker, and will set the tone for our “out-of-the-box” approach to the event. A best-selling author, Uldrich is often called upon to speak on future trends, emerging technologies, innovations, change management and leadership. The self-described “chief unlearning officer” of “the school of unlearning”, Uldrich has made it his personal goal is to help organizations succeed tomorrow by unlearning today. If you’ve made plans to attend the conference April 15-17, we will see you soon! If you can’t make it this year, be sure to follow our live updates from the event on Twitter: #EmersonTAC.